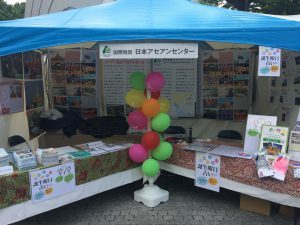 The Tourism and Exchange Division participated in “Laos Festival 2017” at Yoyogi Park. The Laos Festival has been organized to strengthen the friendship between Lao PDR and Japan since 2007. 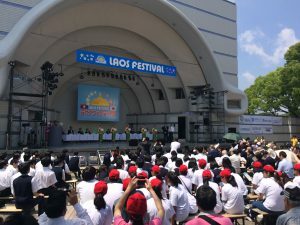 It is the largest Laos-related event in Japan. 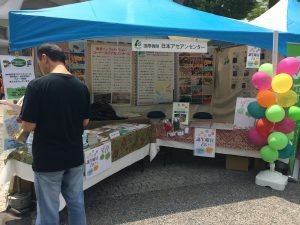 A wide variety of art crafts, products, foods, music, performances, and exhibitions were offered at the festival and entertained the visitors. The AJC distributed brochures of tourism, general information of Laos and ASEAN, and the winning products of the Mekong Tourism Award, and also introduced Mekong-style fortune telling as one of the Mekong cultural experiences.